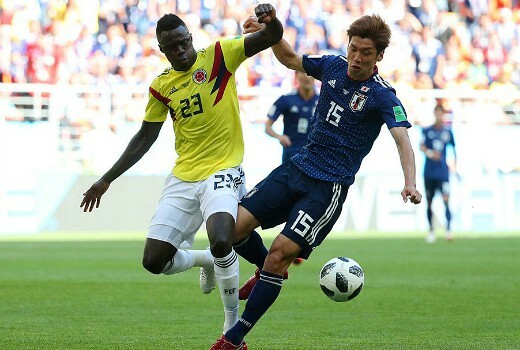 From 10pm last night SBS was the leading network as a FIFA World Cup game between Colombia & Japan dominated with 475,000 viewers. The match was not one of the new events handballed by Optus, but it helped the network carve out a huge 12.1% share for the night. Earlier MasterChef gave away another Immunity pin to SA home cook Sashi with 863,000 viewers and topping the demos. That defeated House Rules on 804,000 followed by 7:30 and Buying Blind. Back in Time for Dinner drew 573,000 viewers edging out Shark Tank and Interview, both down on last week. Seven network won Tuesday with 28.0% then Nine 24.2%, TEN 19.8%, ABC 15.9% and SBS 12.1%. Seven News was #1 for Seven with 1.08m / 1.03m then House Rules (804,000), Home and Away (695,000), The Chase (660,000 / 423,000), Interview (439,000) and Swipe Right for Murder (205,000). Nine News (954,000 / 940,000) led for Nine followed by A Current Affair (796,000), Hot Seat (565,000 / 334,000), Buying Blind (514,000) and movie: Ocean’s Eleven (235,000). MasterChef Australia (863,000) won for TEN then Shark Tank (567,000), The Project (546,000 / 349,000), TEN Eyewitness News (469,000), Family Feud (319,000) and NCIS: LA (240,000). ABC News (700,000), Back in Time for Dinner (573,000), 7:30 (535,000), Making Child Prodigies (376,000), Miriam’s Big American Adventure (362,000) and Think Tank (240,000) comprised ABC’s night. On SBS it was FIFA World Cup Colombia v Japan (475,000), Sinkholes: Deadly Drops (254,000), SBS World News (176,000) and Insight (146,000). 7mate’s Outback Truckers topped multichannels at 244,000. Love Island was 204,000. Studio 10: 54,000 / 53,000 / 40,000. What does SBS care about ratings? It’ll receive another tax-payer handout next year. SBS advertisers care about ratings. SBS sales people care about ratings. Studio 10 with 40,000 is so low in ratings …maybe it is those very long ads each day , over and over .I need shows during the day as a career to entertain my frail mother but we can not watch that show because of the ads & silliness.What a waste of money . ” Buying Blind ” makes the classic novice mistake of showcasing high priced Sydney properties – and guess what – the show “tanks” outside Sydney. I think Nine was running 5th in Adelaide and Perth – I wonder why? No Brains Neddy could have told Nine that Sydney property and its stratospheric prices are on the nose nationally. And who cares about a couple of first home buyers with $1.8 million to spend ? This is the same basic mistake Shayna’s one off series Deadline Design made. Renovating mansions that average punters thought were very liveable in the first place…rich people splashing their cash on silly renovations does not make good television. I think ” Buying Blind ” will be a one season wonder. And have any of the couples “flipped” their homes since the show was filmed ? I would too having been handed a free $300,000 renovation based on a silly premise. Any word on whether Optus will hand anymore extra games to SBS? Young couple struggling to get into the property market with $1.8 million budget who demand a separate self contained 2 bedroom pad attachedcto the house that they can rent out. And the producers duly obliged. I’m sure with a budget of $1.8 million they are really struggling….not ! Not to take anything away from your point, but in the interview I did with Shaynna Blaze she indicated the show had a range of properties from $500k to $1.8m. fair enough I think the concept has not been explained propwrly then. Switched on buying blind and found it unwatchable. I loved it and I already own my house. OMG Last nights Wentworth was “deadly” so good to have it back on our screens and with two new characters being women of indigenous backgrounds, love it.. I’ve already watched it twice, counting down the sleeps until the next episode.